BBS | Vital Tech Engineering & Services Pvt Ltd.
We are engaged in the business of providing maintenance of BTS sites including microwave link of different brands in order to ensure complete, effective and continuous operation of the microwave links between different sites in accordance with the requirements of the client. We assure to our client that we have the requisite experience and expertise with respect to provision of the BTS/Microwave maintenance services. Vital Tech Engineering understands however that the objective of the services is to ensure round the clock smooth, trouble free complete, effective and continuous operation of the equipment installed at sites in accordance with requirements of our client. To achieve this objective we have the requisite experience, resources, manpower, expertise and above all a good network with respect to provision of the services. Inspection & preventive maintenance for BTS Cabinets, BTS Room/shelter, Modules, removal of alarms etc. 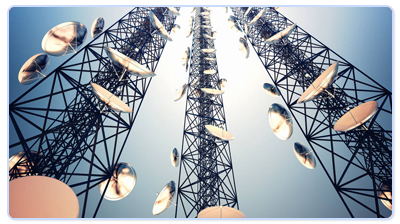 Preventive maintenance of microwave links at the sites. Provision of emergency teams of skilled engineers and technicians equipped with mobile phones, mobile workshops and necessary parts round the clock (24 hours). On receiving of complaints, the faults would be attended within 2 to 3 hours from the time, complaint is received. We are providing our services for communication towers across the country except South. It can also be served if it is required by the client. BTS type & model, Number of sectors, Number of BTS cabinets, Number of antennas/sector, Number of existing TX RX boards, Model of TX RX boards, NIU board, Equipment rack, fan, filter: fan shouldn’t be dusty ,Perform CQT (Call Quality Testing), VSWR measurement ,Check the feeder cable for weather proofing at antenna end, jumper end and grounding points ,Check if the grounding Cable of BTS cabinet is tight and Value is <=3 Ohms. Internal active alarm, TX RX boards calibration, cables connections & feeders, Coaxial cables tightening, MW fixation, MW IDU labeling, MW Internal alarms, RSL level for MW, BER, External Alarm systems. Check the grounding protection cable.